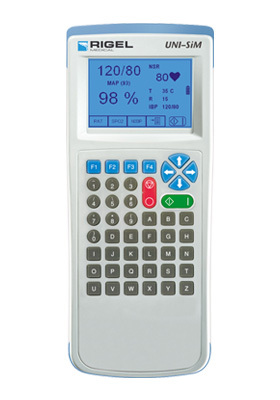 The Rigel UNI-SiM Vital Signs Simulator is the world’s first battery powered 6 in 1 vital signs simulator able to undertake six synchronised vital signs parameters tests. Enabling quick, easy and accurate simulations of NiBP, SpO2, ECG, temperature, IBP and respiration functionality, the Rigel Uni-Sim Vital Signs Simulator is one of the most valuable tools around today. Utilising new and advanced technologies in both SPO2 ad NIBP simulation, reduces errors and minimises the test time. Manufacturer specific simulation curves can be created and uploaded to further aid the accuracy. Bluetooth connectivity to a range of accessories and Med-eBase, comprehensive database software, ensures fast and easy download of test results, managing your asset database, creation of test sequences and producing test certificates. 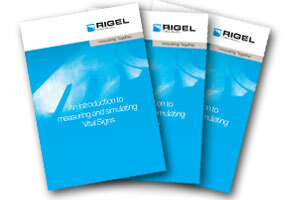 We have created an in-depth guide to measuring and simulating vital signs.